I have a great deal of respect from the people now known as "Native Americans". When I was growing up there were known of course simply as "Indians". Now we know that that name was a total mistake and these native American nations have no connection to India. Yet, those I have met did not have a problem with the term Indian. As I always say it is the intent that matters, not the semantics. I respect their traditional way of life and their fighting arts. They were known as legendary fighters and heroic in battle. They were connected to the earth and in tune with it. Sadly so much of this has been lost. Some in Israel would like to find the native fighting arts of the people of Israel. 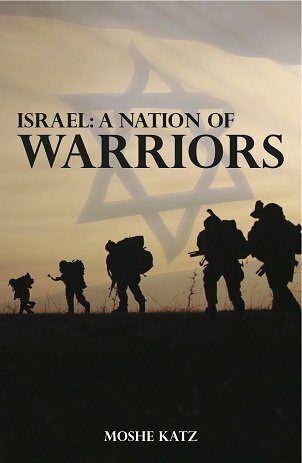 This has been lost in antiquity although I have chronicled what we do know of it in my book "Israel: A Nation of Warriors". What we have retained is the fighting spirit. To me what matters most is not the specific techniques of the art. That is more relevant for historians or what I call the "Krav Maga museum". What concerns me is not what some guy did in the 1950's, what concerns me is that some guy today gets home safe. That is all that matters. The native element that is important to me here is the spirit, the fighting spirit, the desire for life. We choose life. David used a slingshot, Ehud Ben Gerah used a double edged sword and we use a Tavor; the means are less relevant that the concept. It is the adaptation to our current circumstances that matters, it is the innovative spirit that permeates all we do in Israel. Yet some cling to old Krav Maga techniques as if they were laws handed down to Moses at Mount Sinai. What we pass on is the innovative spirit and the desire for life. There is hardly an IKI seminar without some innovation, some new adaptation. It is the question and answers, an age old Jewish tradition, that pushes us forward. We have always encouraged questions, as the wise rabbi in the film Yental says, "In this academy we judge our students not by their answers, but by their questions". That is the philosophy we employ with IKI Krav Maga. The spirit of the Talmud is the spirit of debate. Forward thinking and independent thinking are what give us an edge over others. We do so because we have to. Nostalgia is great but when survival is our main concern then survival becomes our most motivating factor. Let others have "Historical Krav Maga", we prefer the age old Jewish tradition of debate, questions and innovative thinking. What makes Israel Unique? A look at historical fighting methods, from the earliest Biblical to our own times. Who was the first Hebrew Combatives Instructor? What did the British learn from the ancient Hebrew fighters?